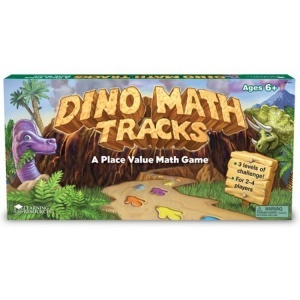 Allows children of various ages and different math levels to enjoy the game together. This fantastic game is designed to reinforce counting, place value, addition and subtraction skills. Children roll a number, then move their dinosaur to the appropriate ones, tens, hundreds and thousands places. 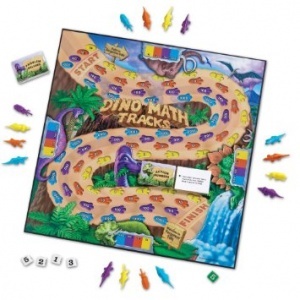 Beautifully illustrated game board, 16 dinosaurs, cards and number dice.